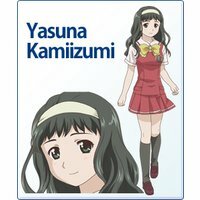 At the start of Kashimashi, a young high school boy named Hazumu Osaragi declares his love to classmate and close friend Yasuna Kamiizumi, but she quickly rejects him. Dejected, Hazumu climbs Mt. Kashima and is killed when an alien spacecraft accidentally crash lands on him. 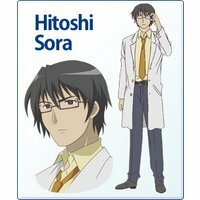 To rectify this, the alien in the ship named Hitoshi Sora brings Hazumu back to life, but inadvertently regenerates him as a female right down to the DNA level. 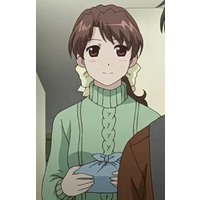 This change in Hazumu serves as the catalyst for the development of character interactions for the remainder of the series. 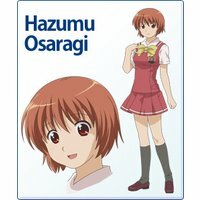 After Hazumu returns to school, Yasuna unexpectedly professes her love for Hazumu, but this serves only to confuse Hazumu as she adjusts to her new life as a girl. Yasuna, a rather feminine girl, has a unique affliction which makes her incapable of seeing males, and instead sees males as covered in a gray, hazy blur. 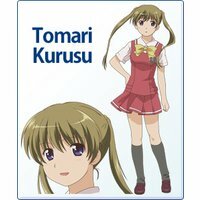 Hazumu's childhood friend Tomari Kurusu, an athletic girl and tomboy, finds Hazumu's change difficult to cope with. Tomari starts to realize her own romantic feelings for Hazumu as Yasuna starts becoming closer to Hazumu, especially after Tomari witnesses Hazumu and Yasuna kissing one day after school. 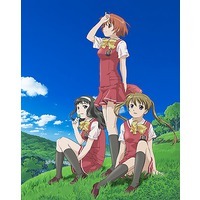 A conflict arises between Yasuna and Tomari who fight for Hazumu's affection while she is unable to choose between them. This results in a love triangle emerging between the three female main characters. 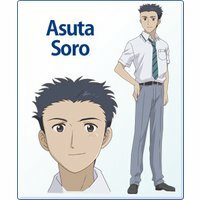 Hazumu's best male friend Asuta Soro also starts having romantic feelings for Hazumu, but tries his best to repress them. 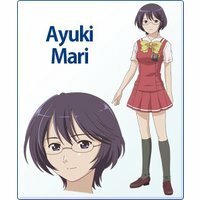 Tomari's good friend Ayuki Mari, an intelligent girl interested in the sciences, continuously observes the ongoing development of the love triangle while keeping a stance of watching from afar. The very stoic Hitoshi originally came to Earth in order to study human emotions, especially those related to love, in an attempt to save his species from extinction. His species has long-since given up their emotions resulting in a loss of their sexual urges and thus a continuously dwindling population. Hitoshi moves into Hazumu's home where he is warmly welcomed by Hazumu's parents. He brings with him an artificially intelligent gynoid named Jan Pu which serves as the automatic pilot for his spaceship. Jan Pu's body is modeled after Hazumu's own female body, and possesses an energetic and childish personality. 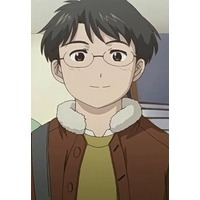 While initially citing Hazumu's change as an accident, Hitoshi later realizes this was an unexpected result of the regeneration process. 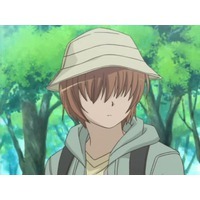 By the time Hitoshi becomes aware of his mistake, he tells Hazumu and her friends she has only one month left to live. Hitoshi explains to Hazumu's friends how someone very close to Hazumu has to donate "life grains" to Hazumu to sustain her life. While unaware her friends know about her impending death, Hazumu continues to live her life and comes to fully accept her fate. The day Hazumu is appointed to die, she falls off the school's roof and Tomari jumps off the roof in an attempt to save her. While in mid-air, Hitoshi interferes by transferring the necessary "life grains" to Hazumu, and both survive the fall. When they later wake up in the infirmary, Hazumu confesses her love to Tomari, effectively choosing her over Yasuna. The anime ends differently, with no life threatening situation and Hazumu choosing Yasuna in order to help cure her worsening sight problem as it begins to degrade so she can no longer see girls as well. 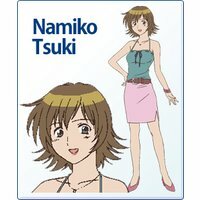 Afterwards however, Yasuna, who becomes able to see all people again, decides to reject Hazumu once more, saying she can stand on her own, and in the follow-up original video animation episode, Hazumu confesses her love to Tomari on Christmas and the two get married in a ceremony held by Hitoshi.